The club was formed in 1982 by several new resident Squash Players and from these early beginnings of one team we have grown to what it is now. In 1985 the Junior ranks were started. The Juniors (under 6’s to Under 17’s) have always played in the Brisbane Competition, with our 16/17s spending a few seasons on the Sunshine Coast also and have secured numerous Premierships and Minor Premierships. The Senior teams commenced in the Sunshine Coast Competition, moved to the Brisbane Division 2 Competition, and have had a few trips back and forth between the 2 comps, with the long term view to build a Premier club. We consistently field 2 senior sides with Colts, Women’s & 3rd grade sides being season-to-season prospects. 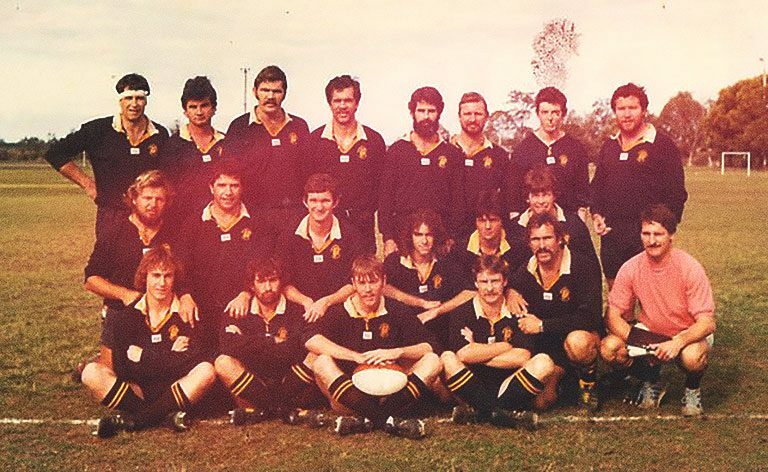 We have had success in both competitions & all grades over the years, securing our first A Grade Premiership in Brisbane in 1990. We have achieved steady growth and have a reputation of enjoying Rugby both on and off the field. The club has produced many representative players & coaches in both Seniors & Juniors. Our Senior side has played in the Hong Kong 10’s from 1987 to 1998. As part of our developments program we encourage teams to tour in their teenage years, with dedicated fund raising initiatives which help develop more than just on field Rugby culture, who could forget the ‘Full Monty’ performance which helped send the first team to New Zealand in 1999. We are one of the six Sub-Clubs affiliated with the Caboolture Sports Club Limited, which assists through funding our on-going facility and player development. Our adult members are automatic Sports Club members when you sign on and pay your fees, and we encourage you to use this modern, friendly venue as your local meeting place. With a Rugby Club Representative being one of the seven Sports Club’s Directors. We have strong membership in the Over 35’s Rugby team “The Fossils”, many of whom attend Golden Oldies or Veterans Rugby Festivals around the world. They are a very social bunch who have a lot of laughs and sometimes play rugby.